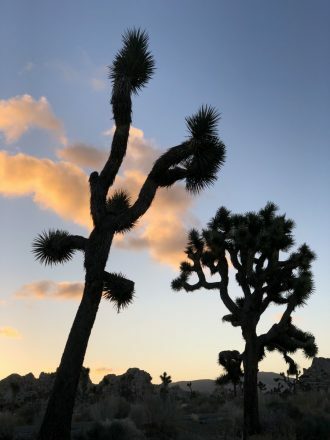 It’s worth waking up early to catch a sunrise in Joshua Tree National Park. They can be serene and zen, or colorful and dramatic. It’s a great place to see a supermoon. 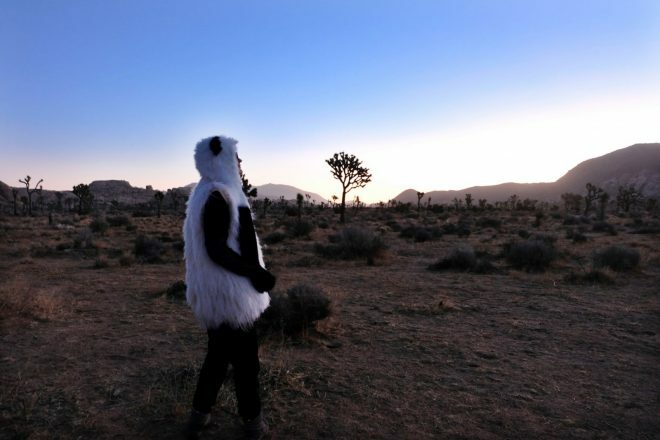 Joshua Tree features odd, slightly cartoonish landscapes. The oversized boulders near Skull Rock or Keyes View are fun to climb on feel straight out of The Flintstones. 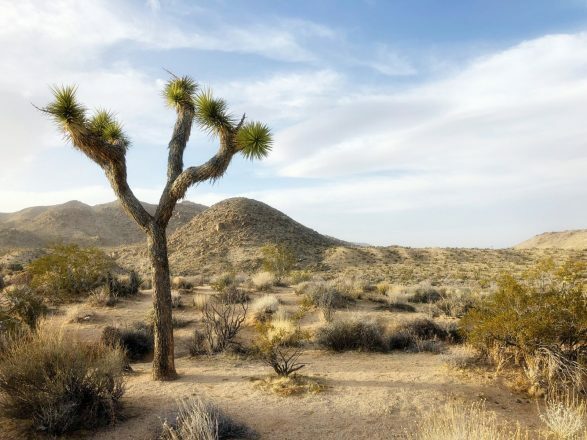 Joshua Trees are not actually trees but instead yucca plants that bloom at odd angles and add a Dr. Seussian vibe. The sky is often populated by cumulus clouds that feel borrowed from The Simpsons. 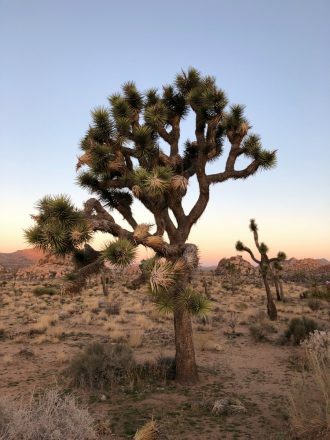 Joshua Tree’s beauty is not the traditional majestic glory of Yosemite, nor is it the white capped mountainy goodness of Mr. Rainier National Park. 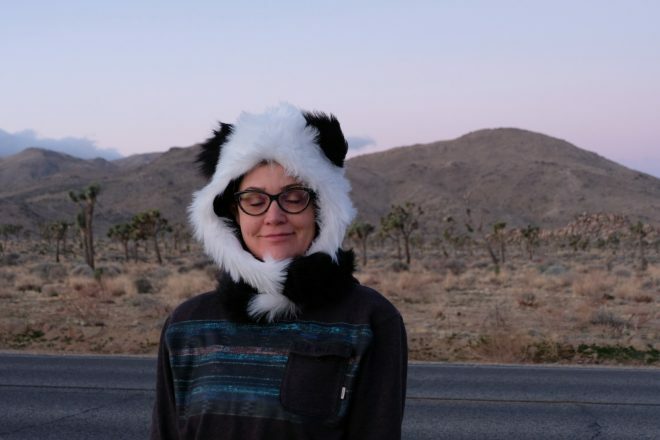 It’s an odd place where the the Mojave and Sonoran desert ecosystems intersect, and the result is weird and wonderful, and strangely beautiful. It’s not for everyone. People either love the landscape or hate it. I’m smitten with it. Desert light is extremely flattering. 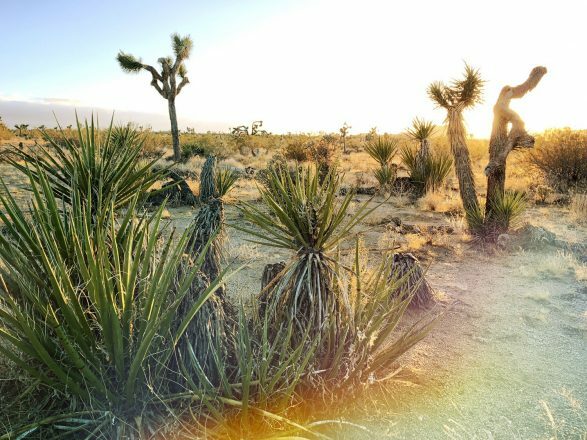 Joshua Tree has pastel sunrises and vibrant sunsets and depending on the light can be very colorful or muted. 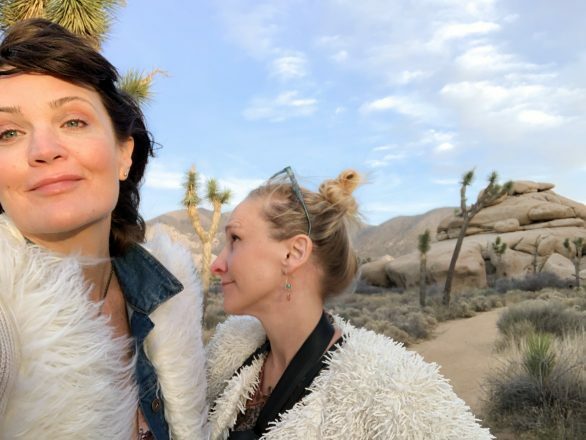 The surreal landscape has been a longtime favorite shooting locations for album covers, music videos, fashion look books, and instagram influencers. 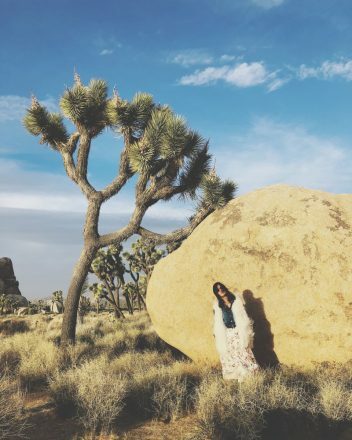 Joshua Tree is a user-friendly National Park and a lot of it’s cool things to see are easily accessible, such as Skull Rock. There are campgrounds in the National Park, but no lodge. Fortunately there are a slew of motels, hotels, and AirBnbs in the surrounding area. If you are planning a trip, be aware they book up during peak times, especially the weeks around Coachella. 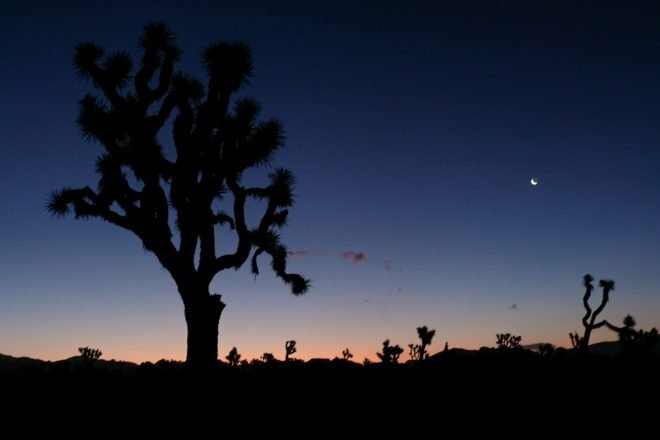 It’s also possible to do a day trip to Joshua Tree if you’re staying in the low desert communities nearby including Palm Springs and Palm Desert. Deserts can be extremely windy and cold at times, so be sure to wear layers if you’re planning a visit.